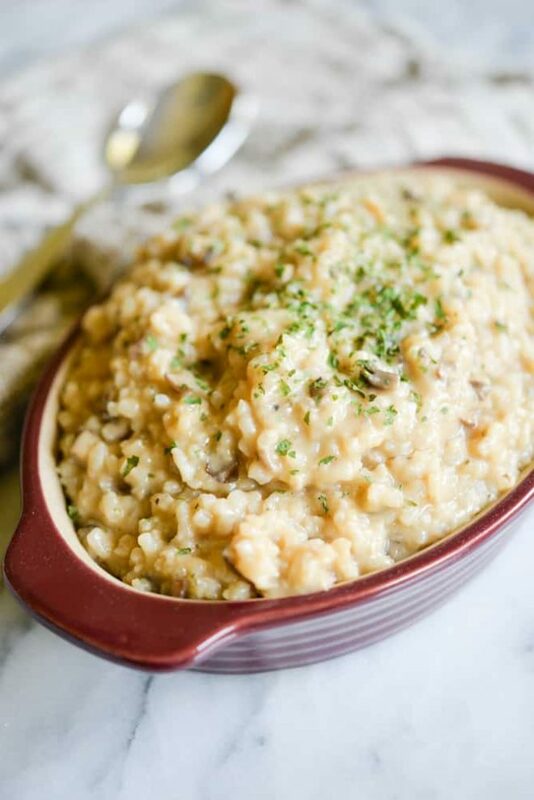 This No-Stir Mushroom Risotto is made with old-fashioned flavors of butter, mushrooms, broth, and parmesan but doesn't require you to stand over the stove stirring endlessly. Risotto land! We've arrived. When I started Fed & Fit back in 2011, I was NOT Paleo. I was real food oriented, but I still ate (and wrote about, if you were a reader back then) grains. The recipes on this blog have evolved with my own eating habits and YOUR requests. So, on that note, you will start seeing a bit more rice and a few gluten-free grains here on the blog in the coming months. It's what we're personally eating in our own home to mix up our starch game (from potatoes and squash), and it's darn delicious. If you want a peek at another rice recipe here on the blog, click HERE for my Lemony Chicken & Rice Skillet! This recipe also introduces dairy! I eat dairy in my own home. I love heavy cream in my coffee and the occasional cheesy potato. So, you can expect to see a few more recipes that call for dairy, too. 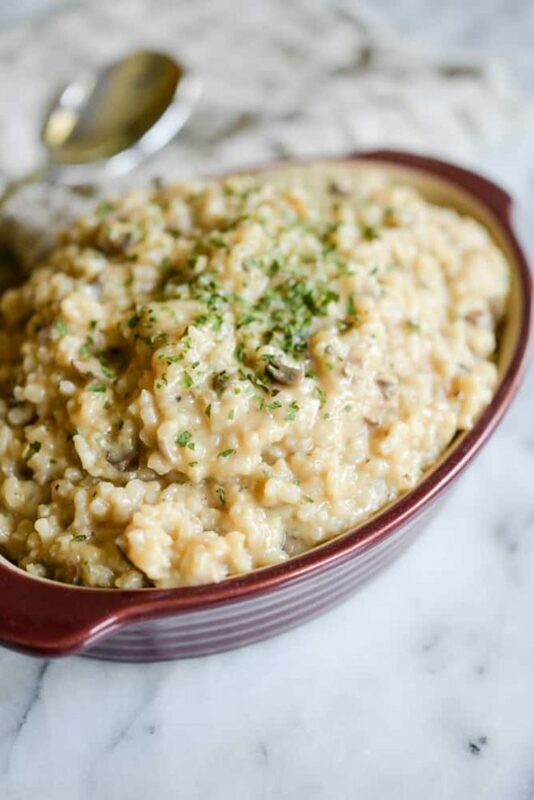 This No-Stir Mushroom Risotto is THE BOMB. 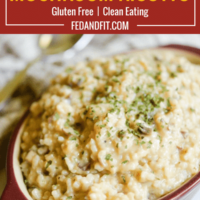 When we wrote it into the content calendar, I went out and bought a container of Arborio rice (what you need for risotto) so that I could start experimenting. I then made it at least once a week for about a month because we just couldn't get enough! This no-stir method makes it as easy as pie. You start off by sautéing some finely diced mushrooms with onion and garlic in a good amount of butter and olive oil. Once those are cooked down a bit, add the dry rice. I like to cook the rice a bit so that it deepens the flavor before we add any liquid. From HERE, we add our broth (or water)! Cover and let it come to a small simmer for about 25 minutes, or until most of the liquid is absorbed. The parmesan cheese is added in, stirred to combine, more seasoning (to your taste) and then you get to plate up one dang tasty side dish! You can garnish with more cheese and parsley (fresh or dried). 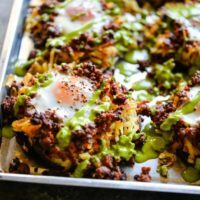 I hope you enjoy this recipe and are as excited as we are about sharing even more well-rounded recipes here! Add butter and olive oil to a medium-sized saucepan with matching lid over medium heat. Once the butter is melted, add the mushrooms and minced garlic. Saute for 4-5 minutes, until mushrooms are cooked through and slightly caramelized. 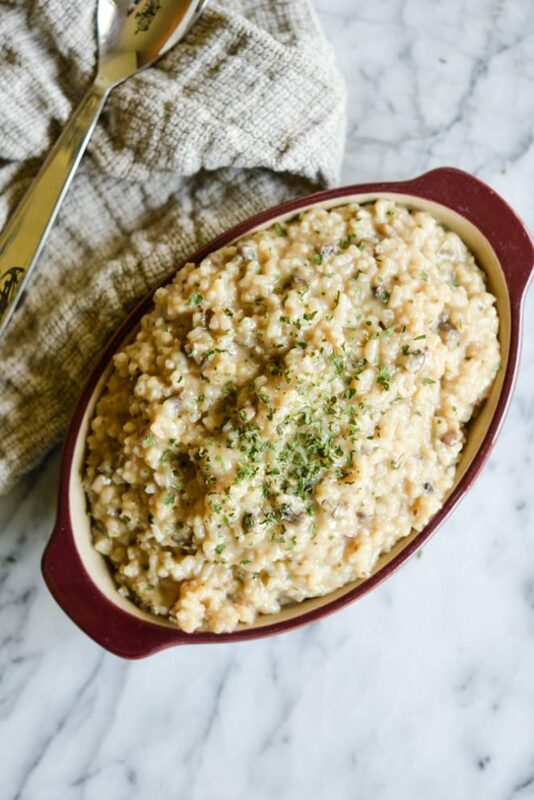 Add the arborio rice to the pan, stir, and cook for 1-2 minutes to toast slightly. Pour wine and chicken broth into the pan and whisk together. Increase heat to high and bring to a boil. Once boiling, whisk the mixture, reduce heat to low, and cover. Let cook covered for 15 minutes, then remove lid and stir. Place the lid back on pan and cook for an additional 10 minutes. Remove risotto from heat, then stir in the parmesan cheese, salt, and pepper. Serve and garnish with parsley and additional cheese. I am in LOVE! 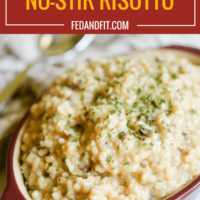 Can’t wait to try this…always thought risotto was too hard to make. I really feel better with some carbs, especially on an active day. We were pleasantly surprised with the no-stir method, hope you enjoy it! 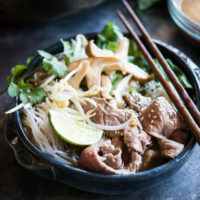 Do you happen to have cooking instructions for this in an instant pot? Thanks Cassy! We haven’t tried it in an Instant Pot, but if you do please let us know your results!